We’ve had a few reports in the news this week of people doing some inappropriate things inside stores. One guy is a accused of masturbating inside a Walmart in Milford, and another of doing something similar inside the Old Navy in West Hartford. They were busted by store security, before police arrested them. This reminds me of a job I had one summer during college. 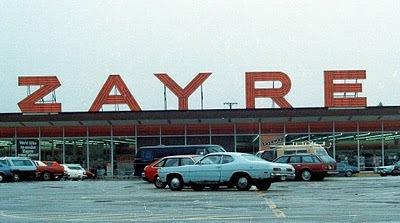 I worked as a store detective at Zayre’s in Dedham, Massachusetts, near my hometown of Norwood. It was a fascinating experience that taught me plenty about retail, people, and crime. As I recall, the “loss prevention” team consisted of three or four of us; one at the front door, and the other three spread out across the store and perched in the lookout. 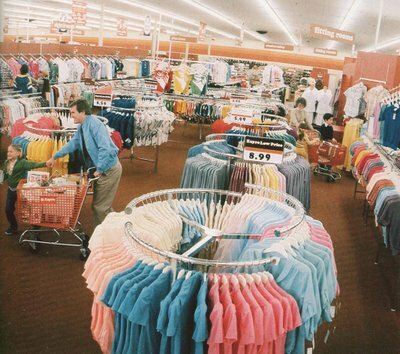 This was the 80s, before security cameras were the norm, and the lookout was a concealed area high above the store, where we had a bird’s eye view of the aisles. We also relied on security mirrors. I liked that job because basically I could wear whatever I wanted, except on days I had to make my presence known and work the entrance. 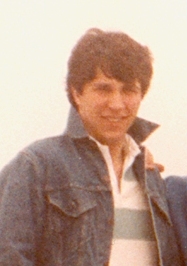 On those days, I would wear a tie and had to do a quick assessment of customers walking through the front doors. If someone was wearing a winter coat in July or was carrying an empty looking backpack, that would qualify as suspicious and we’d keep an eye on them. The hope was that an intimidating stare would discourage any shoplifting, although it didn’t always work. Often though, I worked incognito. If I was coming to work from the beach, I could wear shorts and a t-shirt, after all store detectives have to blend in with the customers. We would walk around the store, sometimes pushing a shopping cart, while keeping an eye on potential thieves. There were plenty of them. 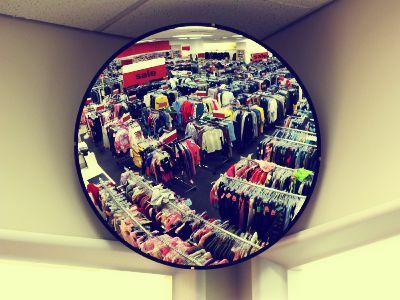 We caught people who put on clothes in the fitting room and then tried to walk out wearing them. One woman paid for a trunk and didn’t think we’d notice that she’d filled it will goodies. Another tried walking out with a television in the cart, wrongly assuming that we would think that nobody would ever try to steal such a large item. People tried everything, even using their children as decoys. Shoplifting was so widespread, it was impossible to catch everyone. Still, we never saw anyone doing what the guys on the news are accused of doing. Thank God for that. Oh, the pay? It was a lucrative field. Minimum wage: $3.75 an hour. What's the Future of the XL Center? I Remember That Zayre’s Very Well!!!!! Small World!!! Living in Norwood from 1972-1983 (ex-husband taught elementary music there) and then we moved to Foxboro in l983~~then following many life-altering events, moved back to my home town of Bristol!!! Thank you! That Zayre’s was there forever.